Exciting news today that Jennifer Harman, writer, researcher and expert in the field of parental alienation, will join us to present at the Conference on day two. 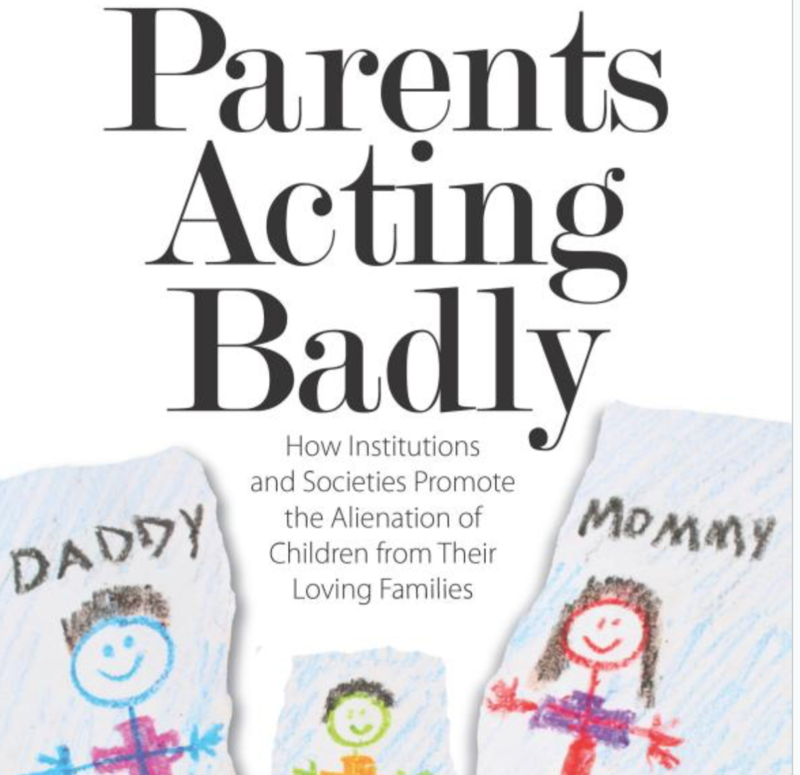 Jennifer is a Psychologist and the author of Parents Acting Badly her TED Talk on Parental Alienation is recognised worldwide as being a definitive description of the issues involved. You can see Jennifer’s Ted Talk below. Jennifer is a leading member of the Simply Parent Team with whom the Family Separation Clinic and EAPAP work closely. We are delighted to welcome her to London on August 30/31st to enrich what is turning out to be a powerful gathering of people who are determined to make changes for children and families affected by parental alienation around the globe. Streaming of the event. We are planning streaming now, if you would like to have a ticket which allows you to see presentations throughout the two days, please contact us and let us know. The cost for this is £65 for two days. Please note that if you have booked and paid your joining instructions and the finalised programme will sent to you directly in the next few days. Please check your inbox regularly and if you have not heard from us by August 22nd let us know. We have had the most astonishing response to our survey which is showing some remarkable results and which will form a powerful argument for all of the work we are doing. Please keep circulating it everywhere – the more responses we get, the more impact we will have in our worldwide work. The results will be announced at the Conference and the full research will be available shortly afterwards. Have your say – complete the survey here and share it far and wide. On behalf of the EAPAP Team – Thank you. I do believe, that we are not all the same in life choices. A woman who makes the choice not to work, is no different in many respects than one who does. If you have the child care in place, can afford appropriate child care, even when your child is unwell, then it’s a choice. Having children is a choice, and you have the responsibility to give to what’s needed, emotionally and physically, until they have the ability to stand on their own two feet. I believe in mediation, and blame free divorce or the end of the end of the relationship. We are not trying someone for a crime, we are simply resolving a relationship that has broken down. Maybe, mediation could help with a different outcome. There are many reasons for Parental Alienation. Some, simply want to hang on hoping things change, preventing the ex partner from doing just that. I know of a case in Vienna, the father has stated the mother is not fit, he was a doctor with some respect, even if the accusations were untrue, who believes whom. The case is weakened by the fact, the father is native to the country, the mother British. This a complex issue when added to International law. I feel as though I am in such a minority – what are the statistics for intact families who muddle along together until it’s too late even for the courts because the one being pushed out never saw it coming and never realised what was happening until it happened …………. When I look back my husband (of forty plus years) first ‘suggested’ how this would pan out when my/our daughter was less than three years old and not long after our first child died. He told me that if I ever left him he would fight for custody and HE WOULD WIN. I knew never to go against him even then. By the time our daughter was 15 he had indeed won and his prize was her. I stayed in that marriage for another 19 years knowing that if I ever left him I would never see her again. Some of the time it was good. A lot of the time it was hell, not only because of him but her too. I was constantly treading on eggshells and adjusting how I was until I couldn’t do it anymore and I left them both. I post on here the same old thing and I still feel in such a minority. Parental Alienation comes in many forms. I believe, they call it control. My son fell out with me over my visits to his son, after the relationship he was in, badly failed. I can understand something’s, but it was in the interest of the child I went. He really put me through it. We still don’t speak after 5 years. Relationships are complex, especially with emotional ties. I hope this helps, I’m always learning about the many facets of Parental Alienation. It was posted in the September before I left my husband and husband and adult daughter in February 2015. I had not delved so far back on your site Karen. It is the most harrowing video I have ever watched. It has left me totally breathless. It has also switched on a light for me because the very few words of that controlling, manipulative father in the video (who had so easily manipulated his son) were just the words and the attitude my husband had within our marriage. The approach was exactly the same and had exactly the same affect. Going to walk my beautiful little dog to come to terms with that replica of my situation. There will be a loving relationship, all relationships are not bad. Re: Streaming of the event. We are planning streaming now, if you would like to have a ticket which allows you to see presentations throughout the two days, please contact us and let us know. The cost for this is £65 for two days. Does this mean the filming will be available afterwards? I’d love to attend but can’t do the days, and so watching live streaming will also be difficult as it will be real-time.